Also for Bouzouki, Banjo, Cello, etc. The K&K Sound Definity Pickup is a brand-new solution that delivers K&K's natural pickup power to a variety of difficult to amplify acoustic instruments in an elegant and easy-to-install package. This model includes the silver pickup sensor. 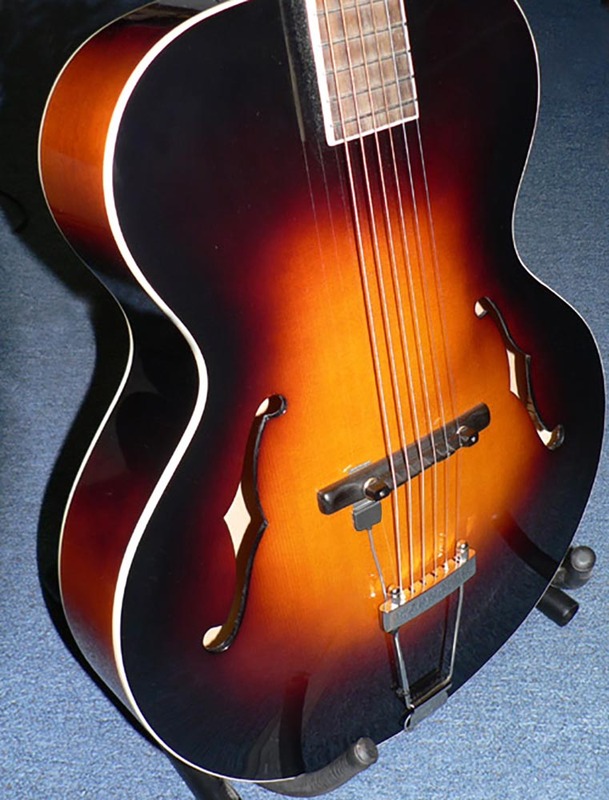 The K&K Definity pickup is designed to work with virtually any floating bridge instrument, like Archtop and Maccaferri guitars, and even semi-acoustic electric guitars with Tune-o-matic bridges. 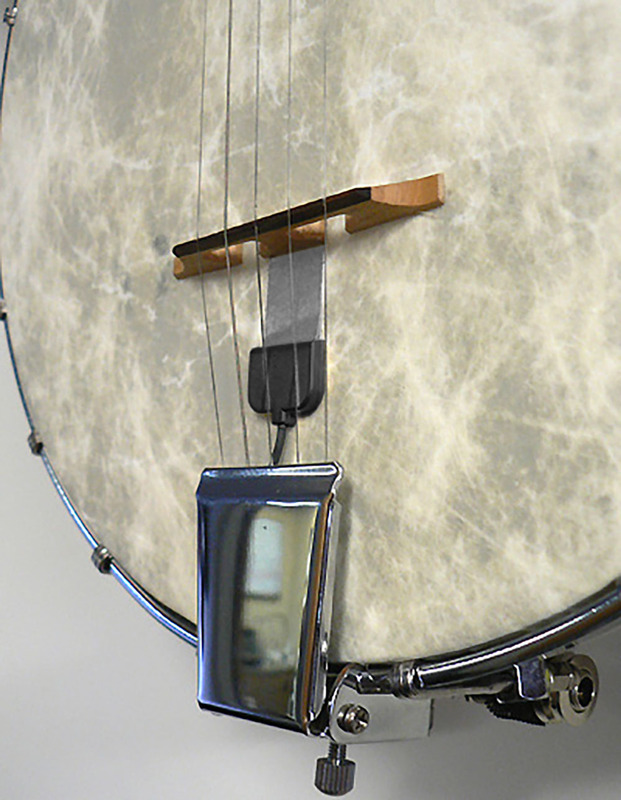 It is also well-suited for the banjo, cello, and many ethnic or folk instruments like bouzouki, saz, etc. 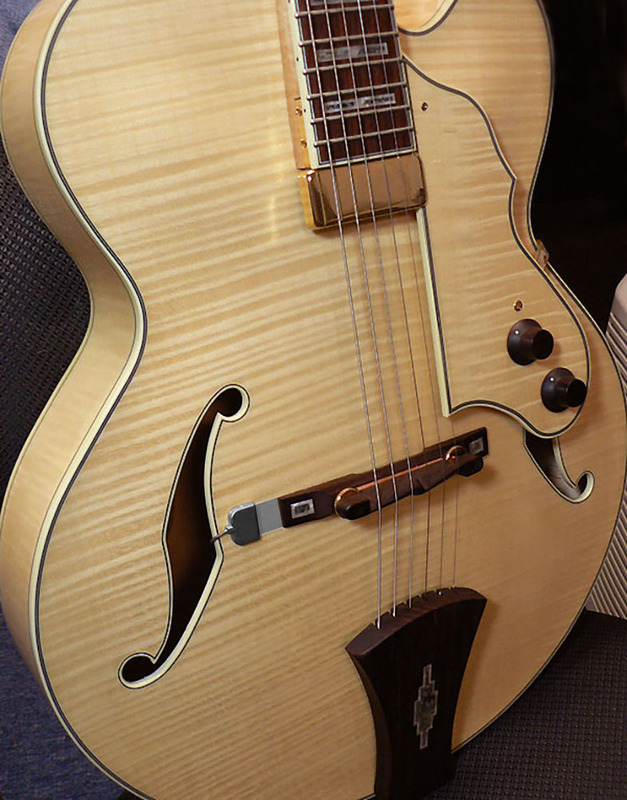 One single pickup element usually transmits an entire instrument with good balance. The Definity Pickup comes with a TRSS stereo endpin jack (wired mono) that allows for adding a second pickup or microphone. 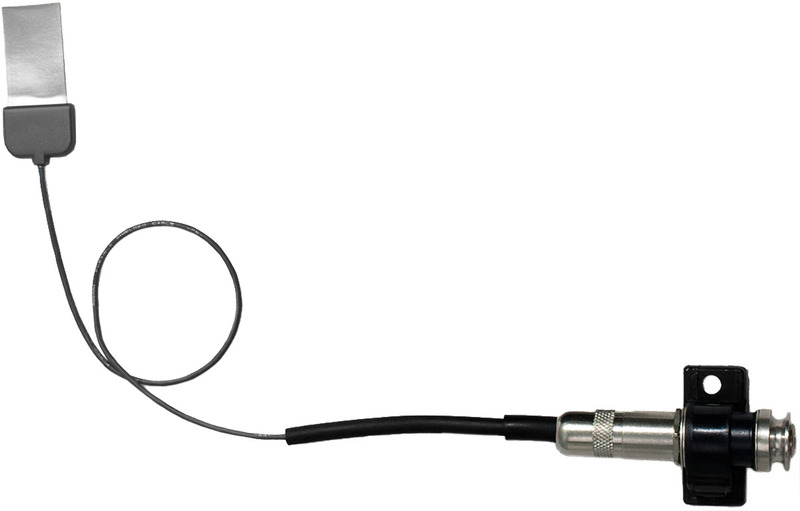 The endpin jack includes a self-adhesive clip that can be removed, which allows you to choose internal or external jack mounting locations. The pickup is only 6/1000 of an inch thin and measures 1-3/4" x 3/4" total. We call it a "compression pickup" because it is especially suited for "wedged" applications under a floating bridge. However, the pickup element is capable of transmitting sound like a soundboard transducer as well. In fact, we found that the best tone is achieved if the pickup is mounted so it is partially "wedged" and partially open on the soundboard. Package includes one Definity pickup with jack, preamp not included. A preamp is recommended for best results.